Using Artificial lighting in growing crops is a fairly new concept when you consider that agriculture itself is an age-old practice that led to the development of modern society. There is still a lot of data being gathered on the efficacy of lights for indoor growing especially to do with spectrums and optimal use of electricity to maximize growth while not stressing out the plants. Lights are increasingly being used in both Commercial Farming and Home Hydroponics to let growers overcome the restraints of nature and enable growth in indoor closed and controlled climates and environments. 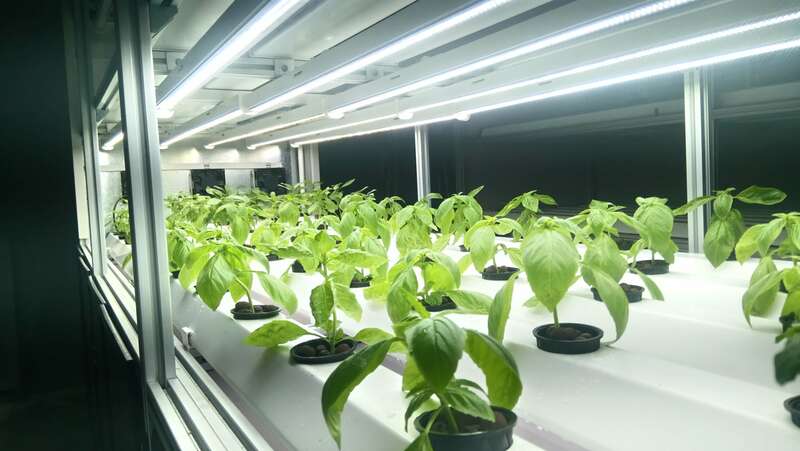 The use of lights to remove the need for sun and land-based agriculture is the future of urban food production, in this post we will discuss methods to optimize the use of these lights in indoor and controlled environment agriculture. The first thing to look at is the type of light, older less efficient lights are the HPS(high-pressure sodium) MH(Metal Halide) and CFL(Compact Fluorescent light) which have been used extensively in the past in grow rooms. These types have a lot of disadvantages ranging from the inefficient use of electricity too high heat generation or low light output. These early experiments have led to the invention of the efficient LED bulbs that put out a lot of light without eating up electricity and needing too many accessories to run. LED’s can also be designed to put out light in specific spectrums and hence if a grower has access to good quality LED’s then that would be the best pick. The second thing is the grow room or grow area itself which should act conducive to increasing light absorption by the plant and so high reflectivity must be achieved. This can be done by painting the walls of the grow room with highly reflective paint such as pearl white or using a reflective material like mylar or foil. Light placement is also important, most LED’s come in a configuration of throwing light at 90 degrees or 120-degree angles and so the plants to be grown should be placed directly below the lighting system and larger areas may require multiple light fixtures. Towards the outer edge of the lit area, the lux values could fall drastically hence a lux meter to reduce low lux spaces between light fixtures would be recommended to have a larger more uniformly lit grow area. Daisy chaining which is the capability of controlling multiple light fixtures with a single control unit, this is a useful feature when having multiple lights and this can be used to control on/off cycles and optimize electricity use. It is also useful to have height adjustable rope ratchets to be able to adjust the height as per the plant type. Heating is a common issue when it comes to growing rooms and this can be mitigated with exhaust fans and circulation of air inside the grow room. It is imperative that a grow room has an even in-out flow of air to remove hot air and let more fresh air into the grow room. Circulation between the plant canopy is also crucial and can be achieved with the help of simple fans. Advanced climate control methods like air conditioners also help mitigate this issue. Lights must simulate the sun’s natural process in order to nurture the plant through its life cycles. A plant that flowers or matures only with the change in the seasonal availability of sunlight will not thrive well in an overly light stimulated environment when it is in its flowering cycle. To counter this some growers use timed light cycles for the various stages, for example for vegetative growth an 18(on)-6(off) cycle is used and for flowering they use 12on-12off cycle, this puts the plant into a false sense of seasonal light change (summer-winter). 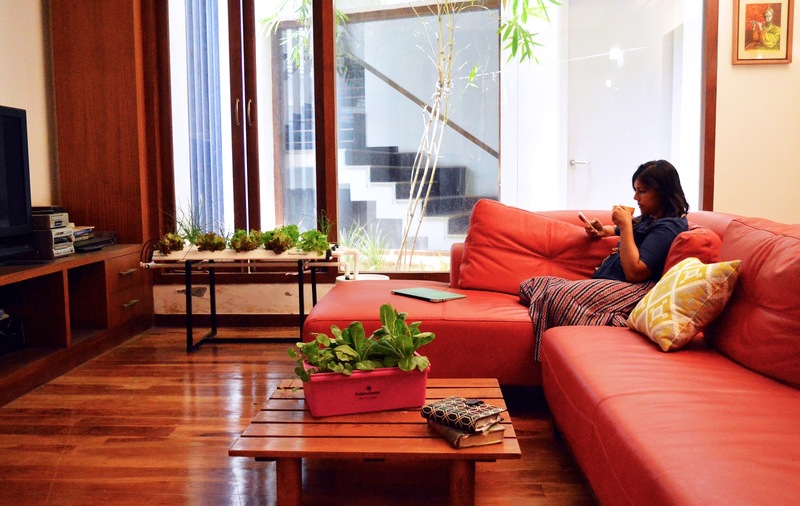 For someone doing hydroponics in Gurgaon or other areas with extreme summers, indoor growing could mean a steady supply of off-season crops without the use of pesticides and the ills of soil growing. Agriculture is a constantly improving method for sustenance with the availability of more and more energy sources for us indoor growing will soon become a norm at every residence and commercial farming ventures. 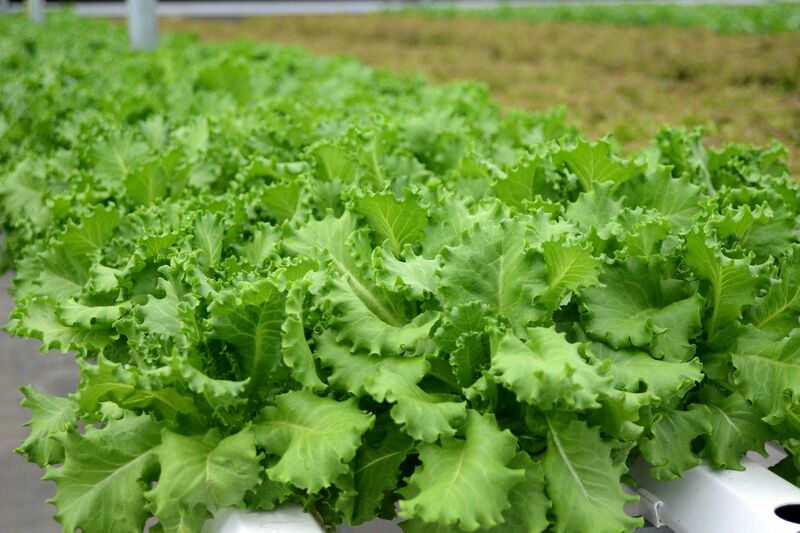 Hydroponic plants have a higher growth rate than soil plants grown under the same conditions. They also produce greater yields. The advantages of using Hydroponics in rapidly expanding places like Bangalore and Gurgaon are massive! Hydroponic plants also have fewer problems with disease, funguses, and bug infestations. You can grow almost any vegetable, houseplant or fruit that you want in your hydroponic garden. Hydroponic systems are also beneficial to the environment. Hydroponic gardening constantly reuses the nutrient solutions which mean that it uses less water than soil gardening. 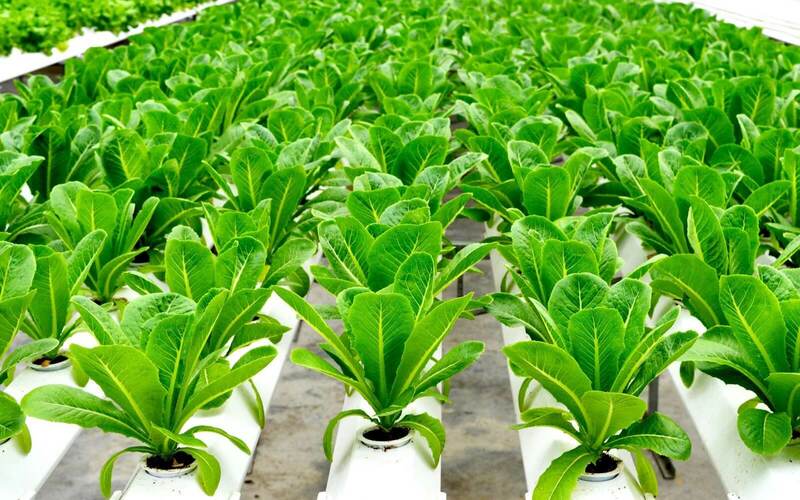 Through the use of hydroponic tailored kits that are now available through numerous channels in the market, the cost of Hydroponic farming in India has dropped considerably. 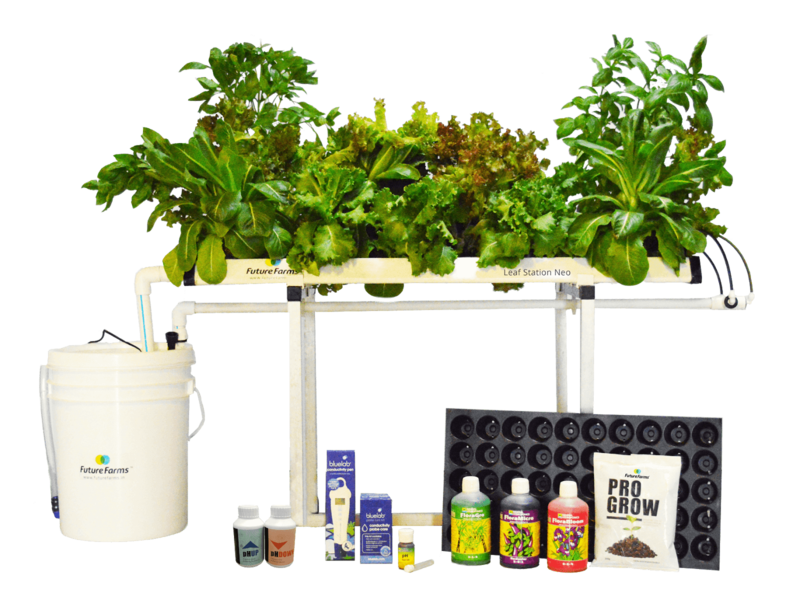 Though growing plants in a tailored hydroponic kit are quite easy to do, there are a few other things you will need besides just a hydroponic system, as well as some things you should know to grow your plants successfully. Here are some things you’ll need, and want to know about: understanding of pH, nutrition, humidity, lighting (if you’re using LEDs or artificial lighting) and pest management. The most important thing to get started is to consider the right system that is tailored for hydroponic growing. India has a number of bustling urban areas, hydroponics in places like Mumbai, Chennai, hydroponics in Bangalore, and ,hydroponics in Gurgaon is the solution to allowing people to grow clean, pesticide-free food from the safety and comfort of their own homes.